We’ve heard plenty about the Polestar 1, but now we’re getting a teaser for the second offering from the Volvo spinoff company, appropriately known as the Polestar 2. The curious photo featured above arrived in our email inbox today with a modest description of what to expect. It’s the first time we’ve seen any visuals for this secretive next step, but we won’t have long to wait for more information. The Polestar 2 will have a full reveal sometime in the coming weeks, though we don’t have a specific date just yet. When it does arrive, expect to see a vehicle with four doors and fastback shape. We’re cautiously optimistic that Polestar doesn’t call this a four-door coupe like certain German manufacturers do, but based on the description and the photo, a coupe-like design isn’t out of the question. Unlike the Polestar 1, this vehicle will nix the hybrid powertrain and go all-in on electric power. Polestar is keen to point out that specific range and power isn’t “final” but we’re still given figures of 300 miles on a full charge, with 400 horsepower (298 kilowatts) available. We aren’t given any clues as to what driver and passengers will find inside, except for one notable feature. The Polestar 2 will include the world debut for the new Google Android HMI, which includes the debut for Google’s in-car version of Google Assistant. It seems Polestar is very much jumping into the tech pool with both feet. If the description thus far sounds a bit like the Tesla Model 3, there could be more similarities than we realize. 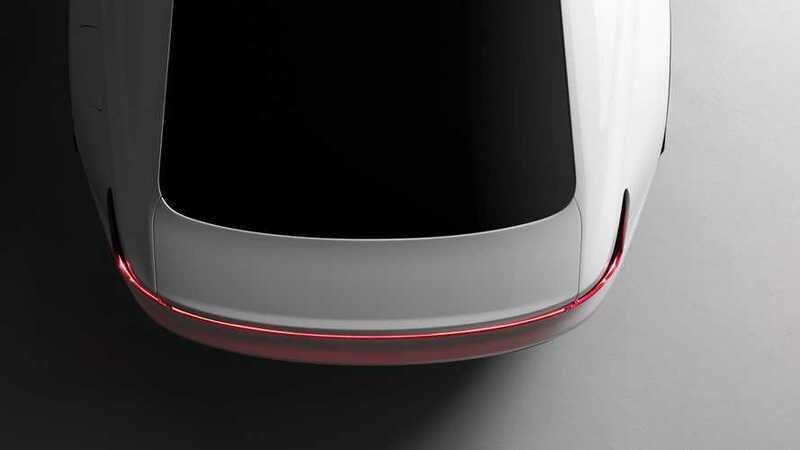 Polestar specifically mentions Tesla with this teaser, saying the Polestar 2 will have a price similar to the Model 3. It will enter production at some point after the Polestar 1 officially launches, which is slated to happen later in 2019. We’ll certainly be keeping our eyes out for more information – and more teasers – leading up to the big reveal.